An award-winning comics journalist, Neufeld is the writer/artist of the acclaimed work A.D.: New Orleans After the Deluge. Neufeld's multimedia presentations encompass such topics as Hurricane Katrina and New Orleans, his creative process, and the ever-changing media landscape. 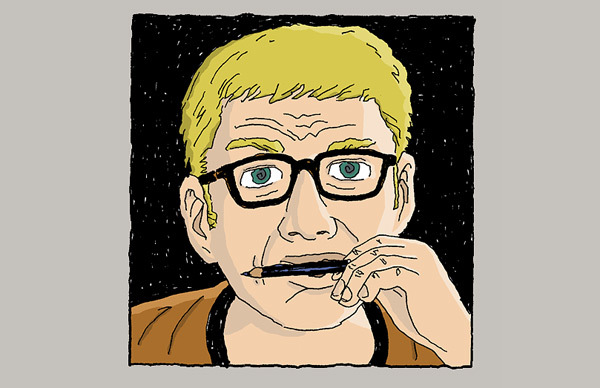 Josh Neufeld is a comics journalist known for his graphic narratives of political and social upheaval, told through the voices of witnesses. As an artist, he has collaborated with such acclaimed writers as Brooke Gladstone, Harvey Pekar, Rob Walker, and Nick Flynn. Neufeld is an engaging and humorous speaker who accompanies his lectures with a cascade of images—as many as 75 in a single talk. He speaks on such topics as Hurricane Katrina and New Orleans, comics and catastrophe, his creative process, and the ever-changing media landscape. 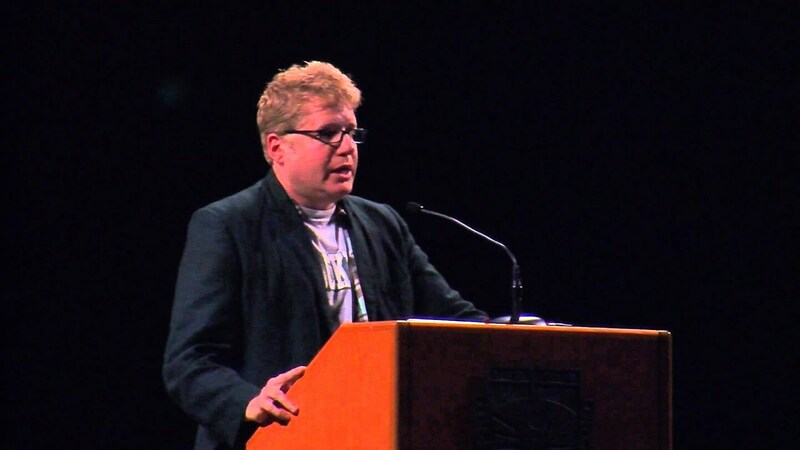 Josh Neufeld has lectured and conducted workshops at numerous universities, trade conventions, cultural centers, libraries, and museums, and has been featured on C-SPAN2’s Book TV. As part of the U.S. Department of State’s Speaker and Specialist program, he has traveled abroad as a cultural ambassador, conducting workshops with local cartoonists in such countries as Burma, Egypt, Algeria, Bahrain, and Israel/Palestine. Neufeld is the author of the New York Times bestseller A.D.: New Orleans After the Deluge, about seven Hurricane Katrina survivors. The book derives from his own experience as an American Red Cross volunteer in Mississippi for several weeks shortly after Hurricane Katrina struck the Gulf Coast in August 2005. Neufeld has been a Knight-Wallace Fellow in Journalism, an Atlantic Center for the Arts Master Artist, and a Xeric Award-winner. 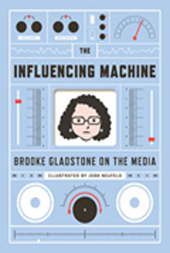 He illustrated the New York Times bestseller The Influencing Machine: Brooke Gladstone on the Media. He was a longtime artist for Harvey Pekar’s American Splendor. His works of comics journalism have been published by The Boston Globe, Foreign Policy magazine, Al Jazeera America, The Nib, and many other publications. He is on the faculty of the Solstice Low-Residency MFA in Creative Writing at Pine Manor College. Neufeld’s books have been translated into French, Italian, German, Dutch, and Korean. 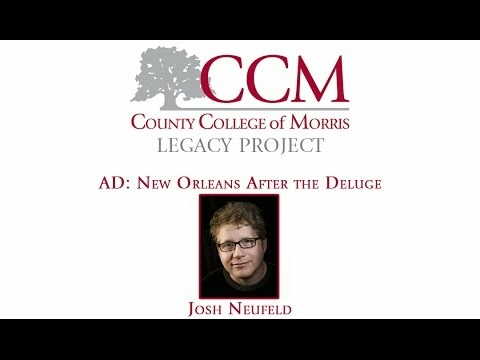 Neufeld discusses his personal response to Hurricane Katrina, including his stint as a Red Cross volunteer, exploring flood-ravaged New Orleans, and the creative challenges behind the acclaimed graphic novel A.D.: New Orleans After the Deluge. 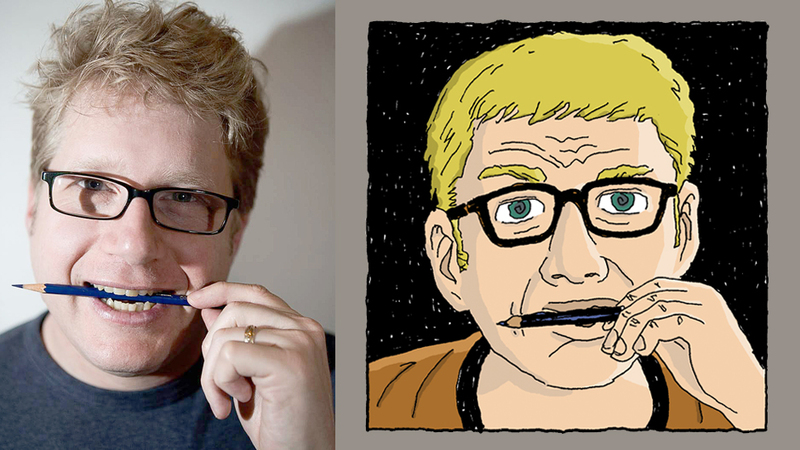 In looking back over his career as a cartoonist, Neufeld explores such topics as the mainstream comics industry, mini-comics and self-publishing, webcomics, television, the graphic novel explosion, and the rise of digital media platforms. Neufeld discusses the twin catastrophes of 9/11 and Hurricane Katrina, and how he used the comics form to explore the anguish, anger, and confusion surrounding those events. With examples from his own work, Neufeld discusses the dynamic and growing field of comics journalism and how it can shed new light on current events. A good collaboration is a conversation between artist and writer, each challenging the other. The back-and-forth of ideas, words, and images produces a result truly of two minds. In this lecture, Neufeld shows examples of his comics partnerships with such writers as Harvey Pekar, Brooke Gladstone, Rob Walker, and Nick Flynn. As Scott McCloud said, "The art form—the medium—known as comics is a vessel which can hold any number of ideas and images." With examples from his own and others' work, Neufeld explores the dynamic realm of sequential art, and the ways that comics produce powerful moments of frisson between words and images. It's not a light read, but it's something you should read -- if only for what it proves about the value of graphic novels as a form of journalism. Josh Neufeld's "A.D.'' intertwines the stories of seven Hurricane Katrina survivors redefining their relationship to their deeply wounded home, New Orleans . . . The dialogue is convincingly vernacular; the characterizations ring true; the revisionist history is credible; and the double-page spreads will make you want to take shelter from the storm. "Neufeld's words and images are commensurable and rhythmic, and the vernacular is sharp. Bristling with attitude and pungent with social awareness."